JAL International First Class main course from the new Fall Japanese menu from London Heathrow to Tokyo Haneda. I haven’t been shy about my love for Japan Airlines food in first class. The multi-course Japanese menu is full of fantastic and flavorful bites that we’ve given our highest rating to. 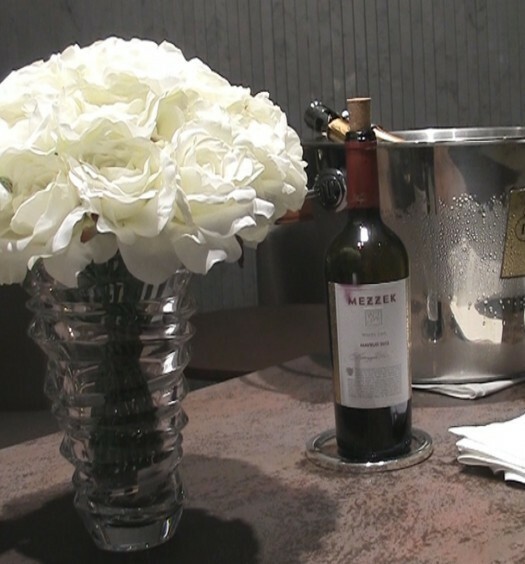 Since our last JAL trek there have been menu tweaks in first class and other premium cabins on select routes. Here we focus on new Japanese options from London Heathrow to Tokyo Narita and new kid menus in first from Japan. Looks like JAL has a new celebrity cook in the kitchen. 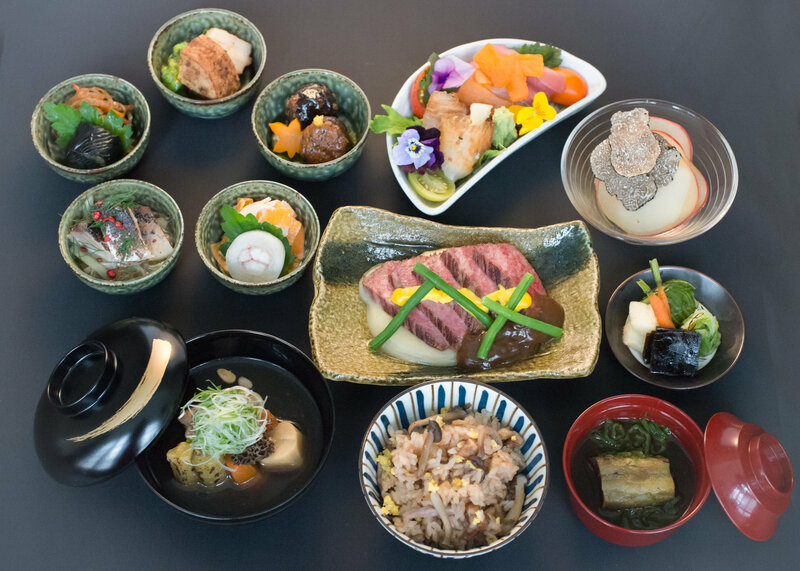 Daisuke Hayashi, Executive Chef at London’s “Tokimeite” has been working with Japan Airlines food gurus on a new Japanese menu in JAL first class between London (LHR) and Tokyo (HND). A Japan Airlines food upgrade in Business too. Chef Hayshi was tasked with the Japanese menu of both premium cabins flying from LHR to HND. In business class, your meal won’t be as robust but appears to be full of new appetizing bites. 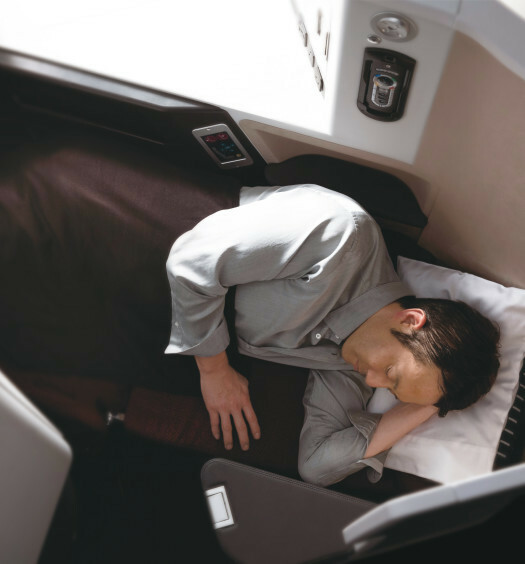 Your business class meal is more compact than in first, but still looks tasty. 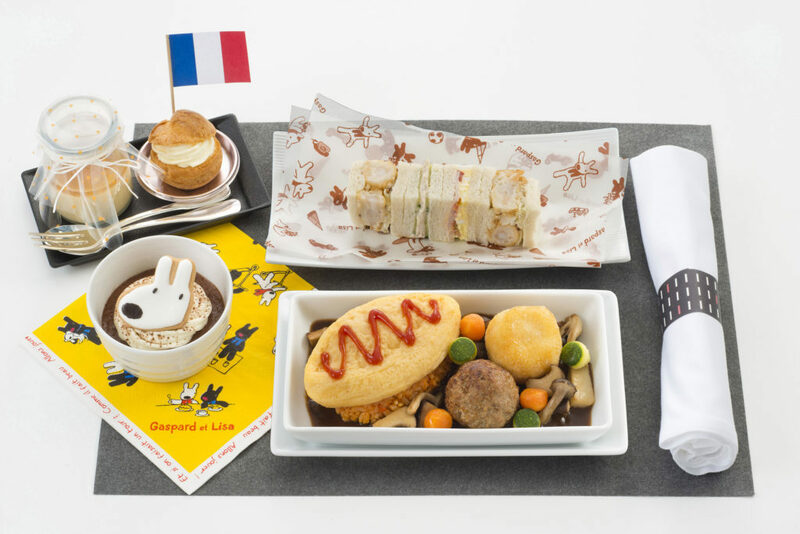 Kids in international first on most JAL flights from Tokyo get their own “BEDD in the Sky” menu. Fall 2016 selections are developed by Chef Yosuke Suga who also develops western options on select routes from Japan. Premium Economy and Economy too! On select routes Yoshinoya’s beef bowl will be available as part of the “Air” Series. “Air Yoshinoya” will “…pursue(s) the flavor of an authentic beef bowl in the sky”. 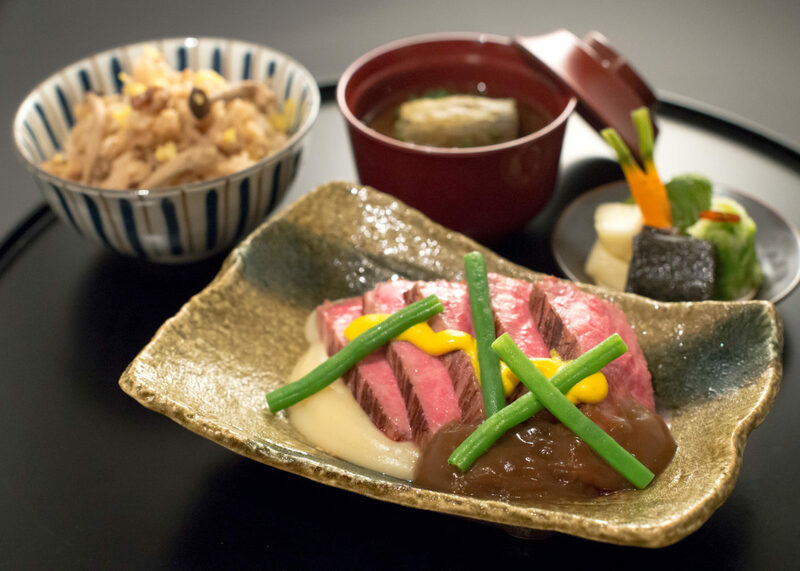 Also, economy and premium economy passengers from Honolulu will enjoy choices made possible by a new collaboration with Shisedo Parlor, A “famous historic restaurant serving Japanese-style western cuisine (yoshoku)”. On the recommendation of loyal Modhop visitors, I went with the Japanese menu on a JAL flight from Frankfurt to Tokyo (NRT). We’ve been big fans of the menu since. 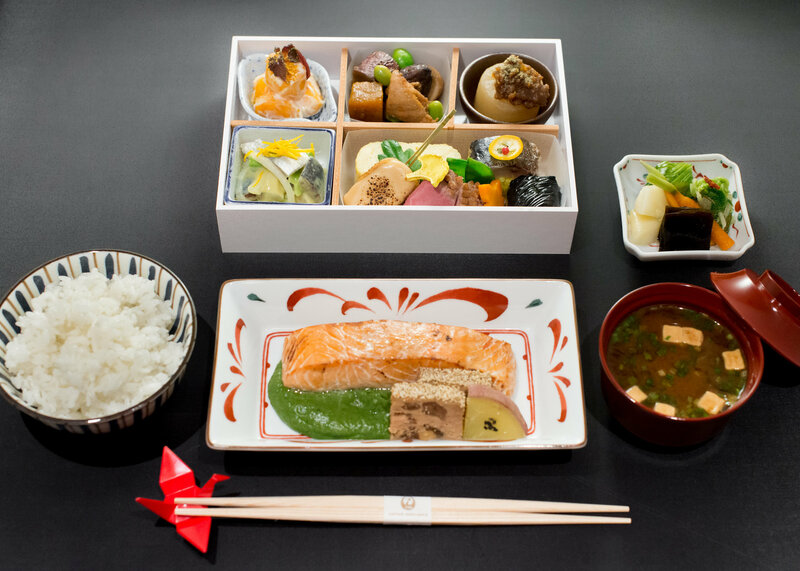 Find out more on Japan Airlines food and seats. Search Japan Airlines on Modhop.